Chess originated in India around 6th century. It spread to other parts of the world. In the middle ages, chess was played by nobles to learn war strategy. During enlightenment chess was used for self-improvement. Today, chess is played in many countries. In 30 countries around the world, chess is part of the school curriculum similar to athletics in the United States. Chess has learning and developmental benefits if you start playing from a young age. Research shows improved test scores for those who play chess by 13.3% compared to only 4.6% improvement for those who engage in other enriching activities. Chess traps you in many different situations and you must figure a way out to save your king and win the game. Each game is different in its own way because the moves of both players are unpredictable. Chess forces you to think critically and out of the box. It encourages you to develop your own strategy and think in creative ways. 2) Chess Can Raise Your I.Q. Have you seen smart people play chess? Are they smart because they play chess or chess attracts smart people? Whichever way it works it definitely helps with intelligence. One study conducted with 4,000 Venezuelan students found that chess raised I.Q. scores after 4 months of playing regardless of the gender. When you are playing chess you must recall the other player’s previous moves and your own moves that helped you win last time. Chess allows you to predict based of past moves which requires recall (critical component in memory). If a player forgot that his or her piece was in danger, that piece might get killed. Chess is a game in which the other player in constantly challenging you with his or her strategic moves. You are to be on your toes (well, heads in this case). One bad move can change the entire game. It allows you to practice solving your own problems and prioritizing your problems. For example, is check on the king more important than getting the bishop killed? If two pieces are in danger which one should you save? You must pay attention and keep your eyes on the chess board. If you are thinking about something else or zoning out, the other player will win because he is not required to tell you which move he made last during his turn. Several international studies found that chess improves concentration. I would recommend this game to those children who struggle with attention or concentration problems or those diagnosed with ADHD or ADD. Chess allows you to plan your moves a few steps in advance. It allows you to predict what will happen. This is a great life lesson for teenagers because one risky choice can damage your entire life just like the game. If you want your teenagers to plan their goals, life choices and decisions after thinking about future outcomes this is a game that helps them practice planning and foresight. You must be wondering what does chess have anything to do with numbers. Well, it does. All the different pieces in chess have their specific moves. For example, a knight moves two steps forward and one to the side. So when you are playing chess you are also counting and calculating your moves for each different piece. Not only you are calculating your pieces but also pieces of your opponent. While playing chess, the player has to imagine the impact of his or her move. He also has to imagine the impact of the other player’s moves. This is only possible if you are visualizing in your mind. The chess board becomes a playing field with 16 players whose locations and potential changes you must know spatially to predict any dangers or challenges ahead. Chess helps children build confidence by allowing them to make good moves using their own judgment. If they turn out well, children keep trying which boosts their confidence on tackling things on their own. It improves their self-esteem because they feel good about themselves and their capabilities. Children also become competitive which helps them develop awareness of themselves and those around them. 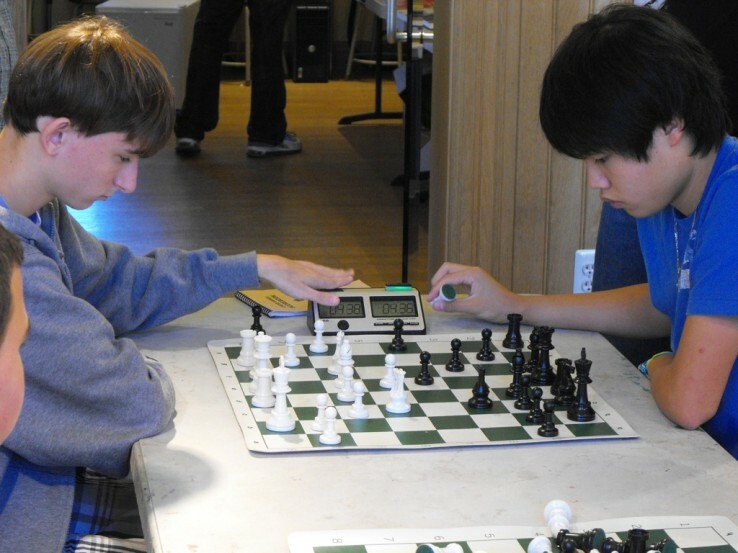 Chess tournaments and competitions are held in many different schools, locally, regionally, and nationally. Have you noticed that children these days lack patience? If they want something they want it now and cannot even wait for a few minutes. Be glad, chess teaches them to be patient with others. If the opponent player is taking time to make his move, you must wait patiently. Chess also has situations in which you need time to think through before you jump to make your next move. Chess helps you slow down when needed which introduces patience in the game. Patience is a social skills you can apply to your personal life to make new friends, positive relationships and have cooperation at work. Why Phoenix Tutoring & Test Prep Is Awesome? We encourage children, teenagers and adults to play chess and improve brain and test scores. Hope you keep playing and practicing all the different skills mentioned above. If you like this article please don’t forget to share it! Phoenix Tutoring & Test Prep has a “My Skills Tutor Program” in which we provide tutoring in creative ways for children, adolescents and adults. In addition, we provide one-on-one Chess lessons in Arizona. Chess lessons currently available in the East Valley of Phoenix (Chandler, Gilbert, Mesa, and Tempe). For more information Call or Text (773)-386-3184. You can also visit www.phxtutoring.com . Phoenix Tutoring & Test Prep provides tutoring and test prep services to the phoenix and the suburbs for all major subjects and standardized tests. Get a private tutor right away!